Margaret Sutton Briscoe Hopkins, undated. From the Ladies of Amherst photo album. 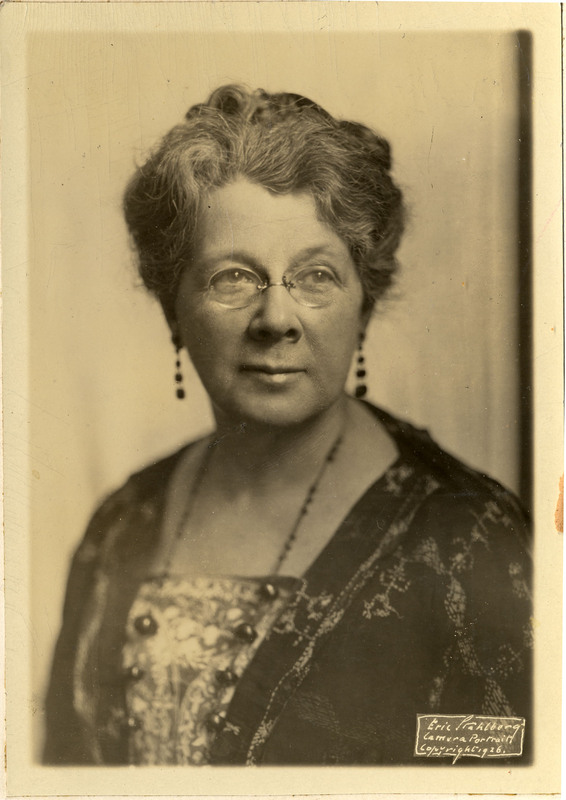 Margaret Sutton Briscoe was born at the end of the Civil War–December 1864–in Baltimore, MD, the daughter of a wealthy doctor, Samuel W. Briscoe and his wife, Cornelia Dushane Blacklock Briscoe. Although she had no memories of the war or slavery, the War marked an immense change in her extended family’s fortunes (the Briscoe family owned the large Sotterly plantation on the Chesapeake Bay), and she had strong memories of Reconstruction. Briscoe’s father died when she was two years old, and she, her mother, and infant brother moved in with her maternal grandfather and his wife. According to Briscoe, her grandfather and step-grandmother doted on and clearly preferred her brother. She was educated at home by private tutors and later lamented the fact that she had not gone to school or studied at college, something that “wasn’t done” in the circles she grew up in. Lawyer, financier, ambassador and US Senator Dwight W. Morrow (Amherst class of 1895) had a brilliant career in business and diplomacy, despite dying at only 58. 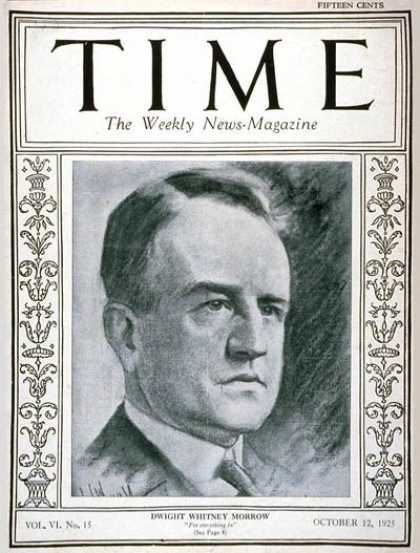 In the 1920s, his name was often mentioned as a top prospect for Secretary of State or even President. As Ambassador to Mexico (1927-1930) he was very successful, not just for representing American interests (oil, primarily), but for playing an important role in negotiating a solution to the Cristero War in Mexico, which pitted the ruling government against the Catholic Church. His frequent breakfast meetings with Mexican President Calles caused him to be dubbed “the ham and eggs diplomat” by newspaper reporters. But alas, in the cruel compendium of popular history, what is Morrow mainly known for? Being the father-in-law of Charles Lindbergh. In his recent best-selling pop history of 1920s America (One Summer: America, 1927), Bill Bryson simply characterizes Morrow as a comical tippler with a tendency to be frighteningly absent-minded. Regrettable. 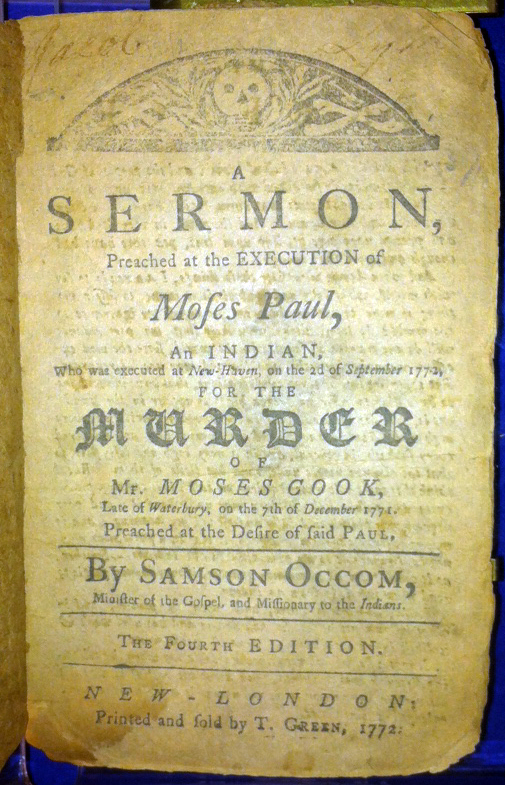 One of the highlights of the Kim-Wait/Eisenberg Native American Literature Collection is a copy of the fourth edition of A Sermon, Preached at the Execution of Moses Paul, an Indian, who was Executed at New-Haven, on the 2d of September 1772, for the Murder of Mr. Moses Cook, Late of Waterbury, on the 7th of December 1771 printed in New London, Connecticut in 1772. Samson Occom. Fourth edition, 1772. We also hold two copies of the curious 1788 edition of the same sermon published in London, with an additional work by Jonathan Edwards appended to it. 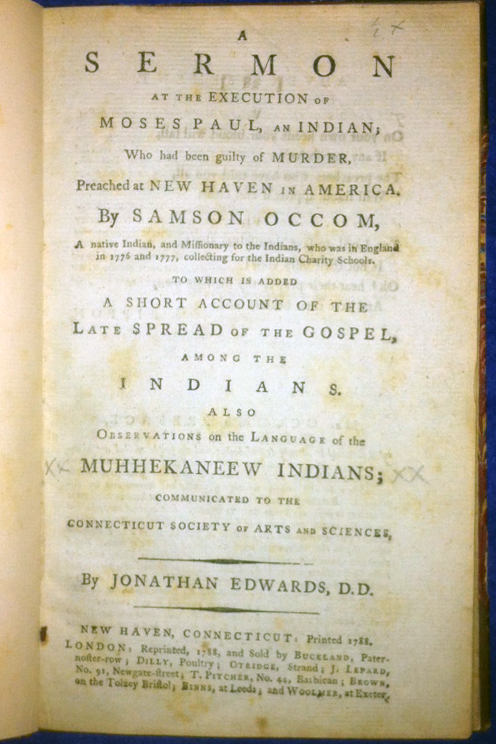 The original 1772 edition is generally regarded as the first published book by a Native American author, and it raises a host of fascinating questions about the treatment of Native people by the British Colonial justice system, drunkenness, and capital punishment. The multiple editions of the Sermon that appeared over the next 50 years are a testament to its popularity. A digitized version of the 1788 edition is available online through The Internet Archive.